How should primary care doctors ask their methadone patients about alcohol use? We worked with 13 primary care doctors and divided them into two groups. We trained one group on how to ask about and advise on heavy drinking. We looked at whether trained and coached doctors managed patients who drank. Primary care can look at drinking among persons on methadone treatment and advise on risks of heavy drinking. We found that the trained doctors asked about and advised on heavy drinking more often than the untrained doctors. Four patients in their care drank less alcohol three months later, compared to two patients of the untrained doctors. Some doctors were reluctant to use their new learning in the practice because it was too complicated. Methadone helps people with opioid use disorders use less drugs, but it doesn’t stop them from drinking. About 30% of them drink in excess of the low-risk drinking limits. Drinking makes their treatment harder and their health worse. Primary care doctors who prescribe methadone see patients weekly and can help them drink less. 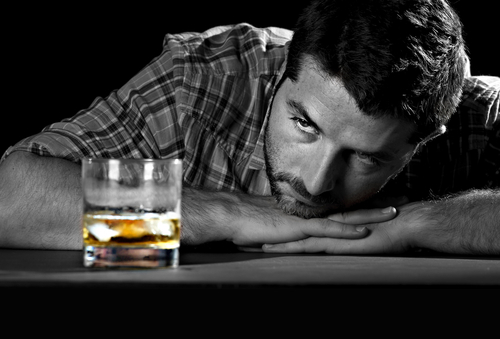 Although very common, excessive drinking by people who also use other drugs is rarely studied by scientists. The purpose of this study was to find out patient’s and clinicians’ opinions about addressing this issue. All of them took part in a study called PINTA – Psychosocial interventions for problem alcohol use among problem drug users. Doctors reported obstacles to addressing heavy drinking and overlooking and underestimating this problem in this population. Patients revealed that their drinking was rarely spoken about and feared that their methadone would be withheld. What is the future of addiction medicine? What is the future addiction specialist going to look like? Nobody knows what the future is going to look like, but the delegates of the 25th CSAM annual conference imagined answers to these questions in Banff, Alberta at the Banff Centre on Tunnel Mountain. As a first comer to the conference, I had a lot to learn and a lot to write down. Read more below. Seven high-profile experts explored trends at home and abroad and the scientific topics impacting the future of addiction treatment delivery in their keynote plenaries. Dr Weiss updated he delegates on the progress of the Prescription Opioid Addiction Treatment Study (POATS). The outcomes of the first phase of the trial were disastrously low, in contrast with the buprenorphine that was 7 times more effective after 4 weeks. Who did well? If you’d ever been in a treatment, or used not-as-prescribed prescription opioids, or the OxyContin was your most frequently used opioid – that was a bad sign. Older people did better. Interestingly, depression was also a good sign. What initiates the addiction is not necessarily what maintains the addiction. Dr Hill introduced the insights from the basic science field. Why people use cannabis? 84% say it helps them relax; to help reduce feelings of stress, tension and anxiety. The endocanabinoids tends to keep the amygdala quiet when it should be quiet. They act as natural regulators of the amygdala. Anxiety may be related to impairment in the endocannabinoid signalling. Dr Hill’s 2014 talk on the same topic has been recorded and posted online. Internet Electronic Therapy was the focus of the first afternoon plenary. Dr Lord described some of the tools that are out there, gave examples of them and validation data. Brief intervention and CBT-4-CBT were among them. The space of phone applications industry is far ahead of the science. The weather conditions worsened in Banff so much that Dr Bunt slipped and fell down on the way to the lecture hall (see Figure 1). Dr Kolb kicked off the Saturday conference programme. Brain changes constantly. Anything you learn is going to occur because the brain changes. Play and stress too modify pre-frontal cortex. Interaction of brain and psychoactive drugs keeps fascinating scientists. 6. Clinical considerations for behavioural addictionsin the settings of DSM-5 and ICD-11 (Dr. Marc Potenza). During the first part of this millennium the perspectives on addiction changed, especially the behavioural addictions. How are they different or similar to substance use disorders? Many are strongly associated with behavioural addictions, e.g., heavy alcohol use and gambling. In addition to the high rates of co-occurrence, there are similar clinical courses, similar clinical characteristics, similar biologies and similar treatments for behavioural addictions. 7. The Alberta Addiction & Mental Health Review: Current challenges & lessons learned (Dr. David Swann). Investment into addiction treatment is only a fraction of the Alberta’s budget – 0.1%. The current government of Alberta isn’t doing evidence-based policy but policing evidence. Racism is alive and well in Alberta. Lack of understanding led to the fiasco of the primary care reform in Alberta. It has an ambiguous direction on harm reduction. Dr Swann concluded his talk with 30 questions for the audience. November 5th, the national conference of the Association for Medical Education and Research in Addiction – AMERSA 39th – took place in Washington, DC. With 75% of the 225 delegates being new to the conference, the conference dynamics enlivened. As a rather small association with only 1 FTE, it is doing great in attracting so many new delegates. To see what lectures they got to hear, read my notes from the Keynote speeches below. To reduce the stigmatisation of pregnant women with substance use disorders, make sure to “use the word use” – not Abuse, neither drug-dependent newborn. If you are asked to drug test when you shouldn’t, it is a moral obligation to do civil disobedience. The medical education should include teaching the risks that clinicians carry when they report pregnant women who use drugs. Dr Carroll posed some really important questions, such as – How do we really get to good long-term outcomes? Is Medical Management (MM approach) that good? The intensity of MM done in trials is probably not scalable in clinical practice. We shouldn’t give up on the research evaluating psychosocial treatments. Let’s give the therapies a fighting chance, shall we? We’ve just gotta find a way to do better as therapists. Many trials report that people do not finish the treatment. We have to reach to underserved and vulnerable populations. We have to realise that people in buprenorphine treatment are different – they don’t seek counselling. CBT (Cognitive Behavioural Therapy) retains people in treatment 3x better than treatment as usual. Usual treatment does not teach people skills. How AMERSA was saved? When Betty Ford learned in 1985 that the association is near extinction due to only $200 left in the kitty, she offered a $10.000 cheque from the royalties of her new biography and personal account. This year, Dr Caetano received award named after her. His Border project, and two other projects, found how the Mexican Americans and the Puerto Ricans drank much more than the other groups of US Hispanics. Women of this origin drank the most of all national groups in this country. If you’re in Miami, it’s not gonna be helpful to know the national data. The local authorities need to know. If you enjoyed reading about this year’s conference, you may like to read my notes from the previous year, 38th meeting in San Francisco, CA, November 4th, 2014.